GAINESVILLE, Fla.(treasurecoast.com) — A new plant pops up in your yard — is it a weed? It’s all in the eye of the beholder, says a lawn and garden expert with the University of Florida. 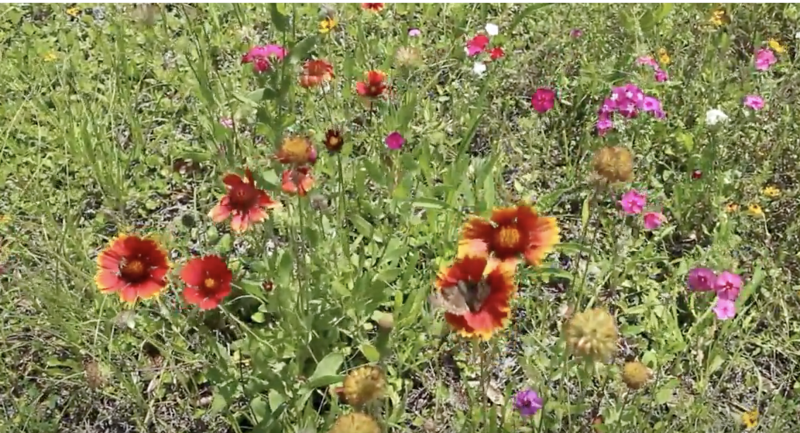 “A weed is simply a plant growing out of place,” said Wendy Wilber, state Master Gardener coordinator for UF’s Institute of Food and Agricultural Sciences. What we might consider a weed in the garden might be a welcomed sight elsewhere, a fact worth recognizing on Weed Appreciation Day, March 28. “There are a lot of beautiful weeds—we call them wildflowers or native plants. A wildflower growing on the side of the road is very much appreciated. We know they attract pollinators and are good for the ecosystem,” Wilber said. Weeds’ resilience can also earn our begrudging respect. But if weeds are causing problems for desired plants in the landscape, there are ways to prevent them. If you just have a few weeds here and there, pull or mow them before they’ve gone to flower to help prevent the seeding of new weeds, she said. If weeds are more prevalent, you may need to apply an herbicide spot treatment. Always read the label and apply treatments correctly, she said. If you’re just not sure what to do about an unfamiliar plant that’s sprung up in your landscape, call on a local expert. There are more than 4,000 Master Gardener volunteers in the state of Florida, and they are ready to help, Wilber said. “The Master Gardeners are a corps of volunteers that spreads horticultural information from the University of Florida IFAS Extension. The Master Gardeners are a wealth of knowledge about all kinds of things going on in your lawn, landscape and vegetable garden. You can come to them with practical questions and get practical answers. They are going to help you make your landscape more Florida-friendly and more enjoyable,” she said. To get in touch with your local Master Gardener program, contact your UF/IFAS Extension county office. Information about weeds, gardening and much more can be found at SolutionsForYourLife.com.